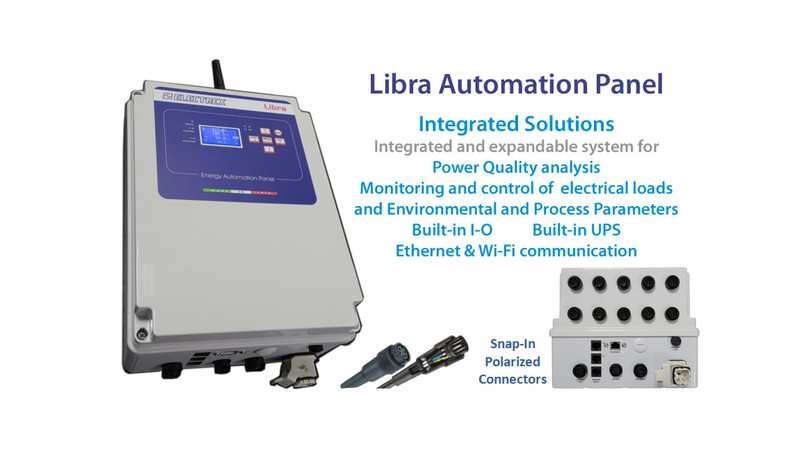 Integrated and expandable system for the Power Quality analysis, the monitoring and control of electrical loads and environmental parameters. Equipped with an internal UPS assuring a continuous power supply. Ethernet and/or Wi-Fi (external antenna) communication. Sensors Inputs for connecting Electrex and third party environmental parameters sensors, various built-in digital and analog inputs and outputs.